We will offer the following real property at auction “On Site at the Land” – Located from Sioux Falls, SD (Jct. I-29 & Russell St.) – 5 miles north on I-29 to the Renner-Crooks Exit #86, then 1 block east, then 4 miles north on 472nd Ave. (Co. Hwy. #133), 1 mile west to the the West Nidaros Church and 1 mile north on 471st Ave. to the SE Corner of the Land at the Jct. of 254th St. & 471st Ave.; from Crooks, SD – 2½ miles north on 470th Ave (Co. Hwy #137), 1 mile east to the West Nidaros Church & 1 mile north on 471st Ave.; from the Baltic Exit #94 on I-29 – ½ mile west on 250th St. & 2 ½ miles south on 471st Ave. This property consists of a well located surveyed parcel of land containing +/-79.91 acres and will be offered as TRACT #1 – +/-5 Acres Situated in the Northeast Corner of the Farm – with Mature Trees and 1 Housing Eligibility; TRACT #2 – +/- 74.91 Acres of High Percentage Tillable Land with 1 Housing Eligibility; or TRACTS # 1 & #2 Combined – the +/-79.91 Acre Unit. This property features areas that could be developed into attractive rural acreage housing sites by the utilization of either of the housing eligibilities, especially since Tract #1 – the 5 Acre Site has a backdrop of established mature trees and a pleasant rural setting, furthermore there is a semi-private location east of the grove that could be a nice spot for a home site as well, additionally there are several other locations on this farm that could be nice locations for establishment of a potential housing site. According to Minnehaha County Planning and Zoning this property has 2 rural housing eligibilities, which if divided will have 1 eligibility assigned to the area designated as Tract #1, with the other to be assigned to Tract #2 (the remainder of the property). This is a well located parcel of land situated within 1 mile of two hardsurfaced County Highways and within 2 ½ miles of Crooks, SD & 2 ½ miles of the Baltic Exit on I-29. According to FSA information this parcel has approx. 76.77 acres of cropland with a 41.2 acre corn base with a 149 bu. PLC yield and a 35.4 acre soybean base with a 43 bu. PLC yield. According to the M’haha. Co. Assessor this parcel has an overall soil rating of .78, comparatively information obtained from Surety Agri-Data indicates that this parcel has a soils productivity index of 80.2. There are some areas that could potentially be improved by the installation of some drain tile and a NRCS certified wetland determination has been completed indicating that any wet areas appear to be considered prior converted (PC) – Wetland maps are available on Sutton Auction Website as part of the auction packet or available upon request. This is a very good parcel of agricultural land with a high percentage tillable, respectable soil types and a gently rolling to rolling topography. The total 2018 RE Taxes payable in 2019 on this farm are $2,258.30. If you are in the market for a desirable parcel of land with many excellent amenities, then make plans to inspect this property and be in attendance at this auction. LEGAL DESC. : The E½ SE¼ of Sec. 14, T. 103N., R. 50W., (Lyons Twp. ), Minnehaha Co., SD. TERMS: Cash – A 10% non-refundable downpayment sale day & balance on or before April 26, 2019 w/full possession for the 2019 crop year. Marketable Title will be conveyed and owner’s title insurance will be provided w/the cost of the owner’s policy and a closing agent’s fee, if any, each to be divided 50-50 between the buyer(s) & seller. All of the 2018 RE taxes payable in 2019 will be paid by the sellers, with the buyer to be responsible for 100% of the 2019 RE Taxes payable in 2020. The acres in this farm are based on the acres as determined in a survey as completed by Midwest Land Surveying, Inc., with the acres understood to be “more or less” – if divided Tract #1 (+/-5 Acres) – will be Sold by the Dollar; and the Acres in Tract #2 – The remainder will be sold by the acre and adjusted in accordance with a new survey. The sellers do not guarantee that existing fences lie on the true and correct boundary and any new fencing, if any, will be the responsibility of the purchaser(s) pursuant to SD Law. FSA cropland acres, yields, bases, payments & other information are estimated and not guaranteed and are subject to implementation of the New Farm Bill & County Committee Approval. Information contained herein is deemed to be correct but is not guaranteed. This property is sold in “AS IS CONDITION” and subject to any existing easements, restrictions, reservations or highways of record if any, as well as any or all Minnehaha County Zoning Ordinances. The RE licensees in this transaction are acting as agents for the sellers. Sold subject to confirmation of the Owners. 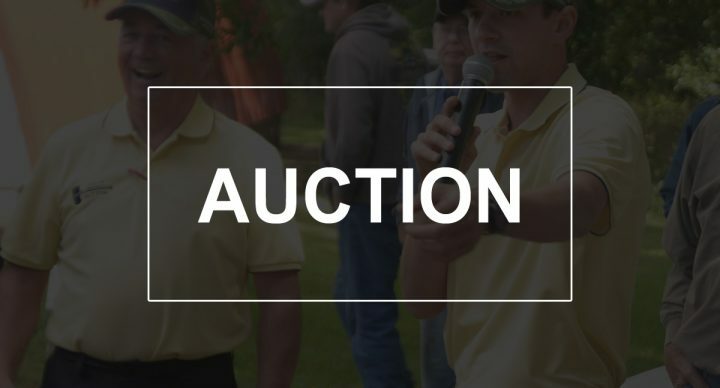 For additional information, contact the auctioneers. 254th St. & 471st Ave.